I like that they are fast in getting you in the room.Also no one bugs you and it's peaceful. They did have a small breakfast. I really liked that they allow pets. The staff was nice although everyone looked like a heavy drug user. No hassles. Easy check in. The people were great. The room was nice and big. Bathroom had double sinks and it had a kitchen area with an actual counter top. 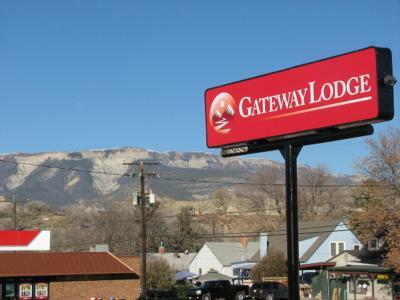 Gateway Lodge This rating is a reflection of how the property compares to the industry standard when it comes to price, facilities and services available. It's based on a self-evaluation by the property. Use this rating to help choose your stay! 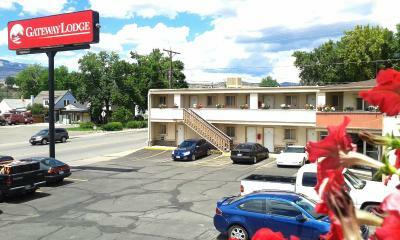 Located off Interstate 70 in downtown Rifle, this motel features simply furnished rooms equipped with free Wi-Fi. Fax and photocopying services are available. 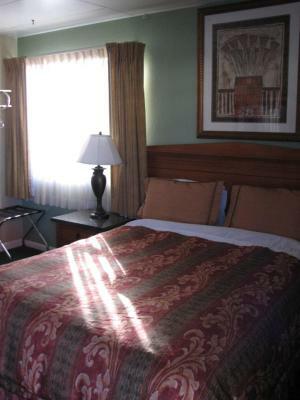 A cable TV with extended movie and sports channels is available in every guest room at the Gateway Lodge Rifle. 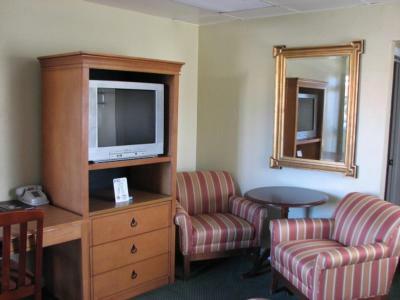 For guest convenience, all of the air-conditioned rooms include a work desk, a microwave and a refrigerator. 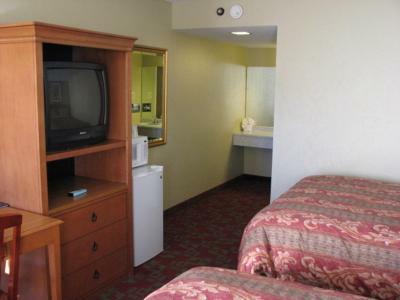 There are many opportunities for outdoor activities in the area around this motel. Featuring world class rock climbing, the Rifle Mountain Park is just a 1-minute walk away. Rifle Falls State Park is a 20-minute drive away. 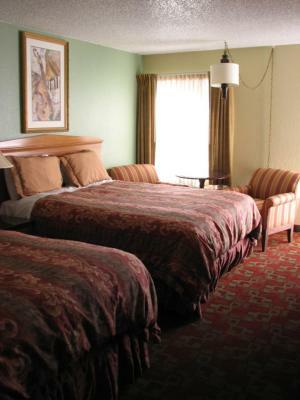 Garfield County Regional Airport is a 10-minute drive from Rifle Gateway Lodge. When would you like to stay at Gateway Lodge? With free Wi-Fi, this air-conditioned room features a cable TV with extended sports and movie channels, a desk, a microwave and a refrigerator. A daily continental breakfast is provided. 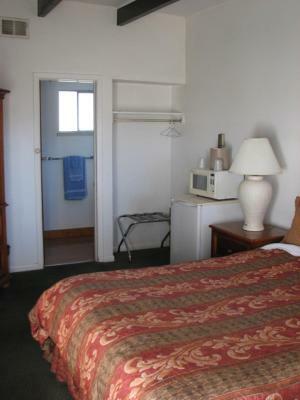 This triple room features a sitting area, air conditioning and microwave. 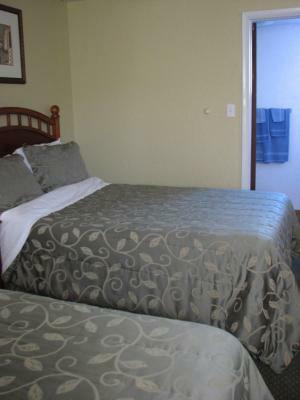 This room also features 2 adjoining rooms and 2 private bathrooms. House Rules Gateway Lodge takes special requests – add in the next step! Cash Gateway Lodge accepts these cards and reserves the right to temporarily hold an amount prior to arrival. 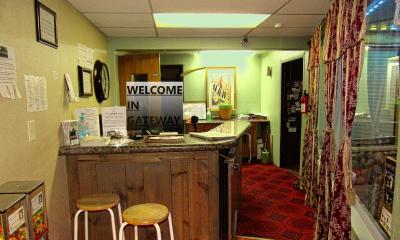 Gateway Lodge accepts these cards and reserves the right to temporarily hold an amount prior to arrival. Please note that a maximum of 2 dogs up to 50 lbs are the only pets allowed at this property for a nonrefundable pet-cleaning fee. Please contact the property for more information. Continental breakfast is only served during the summer months. Requested a ground level room but they did not have that in their system so we had a 2nd floor room. My friend had sprained her ankle that afternoon and stairs were very challenging to navigate. They did help get the luggage in and out the next morning, however. The knob in the shower came off in my hand when I tried to get water for our water jug. Ice machine was on ground level so more stairs. The place is really run down and needs a lot of TLC. The manager did knock off $10 on the price but should have given it free considering we did not get our ground floor and my friend’s sprained ankle situation. The room was dirty, smelled of smoke and looked like it hadn't been updated since, well I'll be charitable and say the 70s. I would never stay there again! 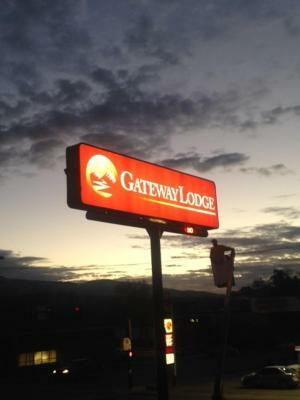 Well the thing that I was not happy was that someone like me is in the need of a place, I went to all motel in rifle to see which one was the lowest gateway lodge was but when I ask if they work with me on payments,they said no cuz of other people's doing them wrong everyone pays the price. Not everyone is a like, I will pay what is owned once we get our cash, we wouldn't have any other place to stay. Our tv did work at all. We asked for a smoke free room and we got a toxic smelling chemical laced room. The whole floor smells like someone made a chemical cocktail to mask the smoke. The place was a sleezy, filthy place. If it wasn't so late I would have left. There were people in and out of the property, smoking inside and it was posted no smoking. The locks were not secure in the room and the outer entrance door lock was broken. The room was filthy. A person in a local business said that strange going-ons occur there. I would like a refund. I will not book through booking.com again. Ants and flying bugs in the room. Lobby and glass doors quite dirty. Breakfast OK but very stale donuts.